Our three year old daughter has started showing a strong preference for Mommy, especially at bedtime. We are trying to be positive and respectful of her wishes, but I am expecting another child in May, and we need to set boundaries about my availability to her. Thus far, setting boundaries often leads to tears, shouting, and temper tantrums that include hitting Daddy. It does go better when we talk it out with her ahead of bedtime. However, “better” still entails screaming, and tantrums are directed at the air as opposed to Daddy or Mommy. Shouting at the air is a distinct improvement over hitting or shouting at us, but we probably need some more tools for this situation. Wouldn’t parenting be so much easier if we could avoid ever displeasing our children? That certainly was (and still is) one of my biggest parenting fantasies. Especially when the inevitable blowback comes at an inconvenient time — when we’re tired, rushed, hungry, ill, or facing a challenging transition of some kind (like expecting a baby). Yet ironically, those often are the times our children make wishes we can’t grant. 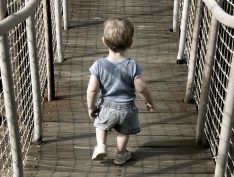 Kids seem to absorb our stress and then unconsciously attempt to express it through demanding, limit-pushing behavior. Toddlers and preschoolers commonly go through phases when they play favorites with parents. They do this for a variety of reasons, which I’ll address later in this post. But first, here are my overall recommendations for each of the parents involved. As with all aspects of parenting, what matters most is our attitude. Our children’s adoration is a given, and hard as that may be to believe in the face of “go away, Mommy,” it isn’t at all personal. Young children live in the moment. So, “I don’t want you” (or even “I don’t like you”) means “I don’t want you in this moment,” or “I don’t want you to do this activity with me”, etc. These are temporary and superficial, rather than deep and permanent rejections. Our child only feels safe rejecting us because he or she is secure in our love. So, rejection is a back-handed compliment of sorts. We’re doing something right. Of course, it still feels crappy. 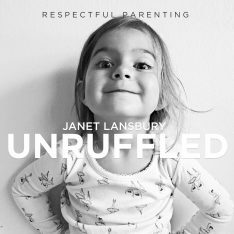 As the Rejected Parent, we are called to demonstrate our super-awesome ability to confidently rise above the fray, be the mature adult, not take the slightest offense, and ideally, keep our sense of humor (as true heroes do). To do so means acknowledging, “You really, really want Daddy to give you your bath today. He’s busy, so you are unfortunately stuck with me. It’s terribly disappointing. I know!” No sarcasm allowed. If our child is screaming or melting down, it’s safest to remain silent and fully accepting while perhaps empathically nodding our head. 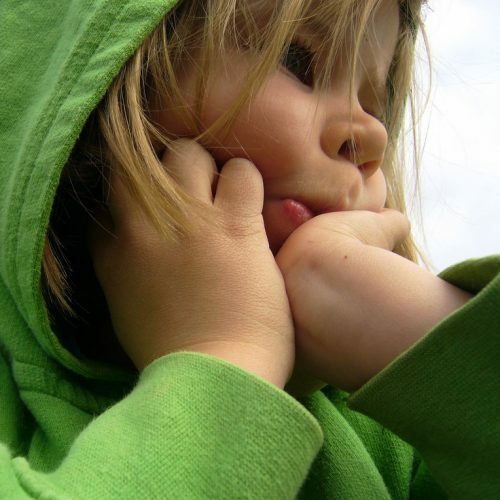 Verbally acknowledging during a meltdown can be perceived by children as talking them out of their feelings, in which case it becomes invalidation and totally backfires. If there’s hitting or other violence, we stay calm and stop this from happening as best we can, which might mean setting our child down (if we’re carrying her) and giving her a moment to express herself safely while we contain her actions as competently as we can. My parents are confident leaders and not afraid of me. Anger and disappointment are safe feelings to have and to express. My parents have personal boundaries and self-respect. The Preferred Parent’s role also calls for bravery, the everyday kind of courage that parents of toddlers begin to find very familiar. We’re called to state our limits with complete confidence in our choices and, as importantly, confidence in our child to be able to accept them. We also exhibit our utter faith in our Rejected Partner as an able and loving parent. We must be direct and definitive. We don’t waiver. Nor do we wait for or expect our child to give us permission, or try to plead our case. We don’t think “poor baby,” because the pity that feeling projects both underestimates our child and undermines (if not insults) our Rejected Partner. Parenting Rule of Thumb: It’s next to impossible for children to comfortably accept our limits if we are anything but sure ourselves. They need to express fear, sadness, anger. Holding our limits while heroically encouraging our children to express their “disagreement” is the organic way we can help. They sense it bothers the Rejected Parent. When it doesn’t bother us, children pass through this phase more readily. Parents are unclear about boundaries. Clear, empathetic boundaries around preferences can help us turn this tide and give our children the leadership that they need. They feel more intimacy with the parent with whom they spend the most time. Allowing our children to disagree with us and fully express their strong feelings is an intimate experience that is profoundly validating. There is no better way to promote bonding. I also recommend that Rejected Parents make every effort to participate with the child in intimate caregiving activities like diapering, bathing, and bedtime rituals. They sense their parent pulling away. Again, children will tend to push our limits when they need to express feelings of fear or anxiety. Holding our limits around preferences offers them the safest possible channel. I also recommend bringing mysteries (like pregnancies) out into the open by briefly and honestly explaining them to our children. This article couldn’t have come at a better time. It’s like you know what is happening in my house! Last night, after a sweet bedtime routine, I told my daughter “I love it when I get to do your bedtime.” Her reply was “I don’t. I love it when papa does my bedtime, because I love him, not you.” She’s said lots of rejecting things as part of her tantrums, which feel (mostly) easy to rise above. But this was so calm and matter-of-fact, it felt more ‘true’. I managed to just be neutral about it “I know you love papa”, but it made me wonder if I should be doing something differently or if it is a sign of a bigger issue. Many children go through a developmental phase where they find it difficult to understand that they can like/love more than one person at a time (which is part of the “so-and-so is my best friend, not your best friend” business that so commonly crops up sometime between 2.5 and 4 years of age). It can be hard for a young child to grasp that in order to love one parent, she does not have to abandon the other. This is an important thing for a soon-to-be older sibling to know, though — because she needs to know that her parents will not stop loving her in order to love Baby! Hi Mary! Can you think of any reason (of those I shared in this post… or something else), that she might be saying this to you? My thought is she senses this wounds you…and she wants to express anger to you. Or maybe this is a story she’s trying on… Have there been any changes in your life of late? Around the age of 3, my daughter developed these types of traits. At 4 years old, she disclosed to me that her father was sexually abusing her. Wow. Any idea how to differentiate between normal parent rejection and this nightmare scenario? Did your daughter’s behavior follow all of the normal patterns described in this article? I am so sorry to hear that, Donna. Janet, this is just what I needed to read! I am really good at setting boundaries clearly around things that are important and obvious to me. But my husband and I fall apart in our boundaries around our 3 year old son’s preferences. We have been trying to please our son when it comes to his preferences. I could not even see this as being an issue until just a few days ago but you have helped me to understand. We kept on thinking we were being kind and helpful when we catered to our son’s requests for re-washing a specific spoon, bowl, being with a certain parent, listening to only a certain CD (at a certain volume), etc. I kept thinking to myself that if we said yes to all his preferences then it would be easier for him to be told “no” when it came to safety issues and other key behavior issues that were important to us- but of course this was not true. What confused us, I think, is that we did set plenty of limits and boundaries around other things (safety issues, behavior during meals, etc) so we kept on thinking that we were quite good at setting limits yet our son kept testing us all the time. We are making changes now. I can already see a difference in our son after just a few days. As always, thank you Janet! This is an important realization, Brettania! Sounds like you’ve unintentionally been encouraging him to get caught up trying to control you. This can become a big distraction that children get sucked into…and it bleeds into their behavior throughout the day. I would work on taking those control issues off of his plate by making many more choices for him. Let him rule his play choices (apart from screen use vs. play), and you and your husband lead the rest. You boy will feel much more comfortable. You are on to something that we may be experiencing as well, but I’m not quite clear about what it means by “Boundaries around preferences.” I always give plenty of choices to my three-year old, and sometimes, when he chose things outside those choices, and if it seems reasonable to do, I’d do it. But lately I noticed that I’m bending more and more and he is choosing more and more outside the choices I’m offering him. Is this when we need to exercise firm boundaries within our choices? Many thanks for clarification. Examples may also help! Great article to read and some great points are raised. I would however like to put forward a slightly different perspective. When I was pregnant with my second child, particularly towards the end, my son became absolutely insistent on my help, and not Daddy’s, even for things he would have been happily doing for himself before. I believe he NEEDed (and not just WANTed) to be reassured that I was still there to help him and that the new baby wouldn’t change that. Therefore whenever we sensibly could we would comply with his requests. I feel this actually set him up more securely for the arrival of his sister, because as soon as she was here he seemed to understand that now Mummy actually COULDN’T do as much to help and was far more willing to accept Daddy’s help or do things himself again. I think by not forcing the issue earlier than we had to we actually made the situation easier for him to accept later on. I really appreciate you sharing your perspective, Gwennifer. It makes a lot of sense, and I’m glad that it worked for you. Janet, I don’t think I have yet to come across an article of yours that hasn’t been relevant at some point in our lives! Thank you for the wisdom and problem-solving you share with all of us. I’ve already bought and read both of your books and have lent them out to others. I’ve read several of your recommended books (How to Talk so…, Siblings Without Rivalry, Don’t Move the Muffin Tins, Your Self-Confident Baby). One thought that comes up for me repeatedly, however, is that I find myself wanting (needing?) more ideas about how to use RIE principles with TWO children. I am home full time with my 3.5 year old daughter and 10 month old son. I am certain that your ideas and RIE principles have saved my relationships with my children on many occasions. We have safe play spaces for each child where they can play independently (in addition to some safe “common areas”) and each is allowed to “visit” the other’s play space with supervision. I still struggle with how to protect the rights of each of my children — like the rights of each child to “wants-nothing” time with their parents, to quiet contemplative time without interruption, etc. — and strategies for balancing the needs and preferences of each child (and of each parent). In retrospect, I feel like parenting one child was SO much easier in many ways and parenting two kids now presents very different challenges (and joys, thankfully!). I find that facilitating my children’s play with other kids of their own age is much more straightforward (and hands-off) than when facilitating their play and interactions with each other. I would appreciate that as well. It seems that RIE works best with an only child, or with a 4+ year space between siblings. But I’d be glad to learn that I’m wrong! Our 22 month old has gone through phases of preferring one parent over the other every 6 months- right from birth. Your article is right on spot. He’s stopped strong preferences once his father started setting boundaries more confidently. Now only while going out he has strong preference for his father. I guess its because of the anxiety he feels while outside. Do you think we’ve to let him know that its safe if I carry him as well? We’ve been hesitating to do so to avoid the tantrum outside but its clearly exhausting for his father. Thanks for this article. Will share it with husband and see how can we address it. My situation is a bit different, but somewhat related. I have two boys (7 and 3), and have 50% shared custody with their mother (I have them Monday afternoon through to Friday morning). This means that I end up doing more of the “un-fun” stuff (especially with my older son: homework, school, etc.). She, on the other hand, lets them play video games, eat junk food, etc. all weekend. They consistently don’t get enough sleep on the weekends, don’t brush their teeth, and my older son doesn’t always get his homework done on the weekend and is frequently late to school on Monday mornings. Not consistently, but every now and then one or both of them will express that they’d rather live full time with their mother. As they get older, their opinions will carry more and more weight as far as the custody arrangement goes, and I’m concerned that ending up with her full time (especially during the school week) would not be the best for them. I know that these ages are a bit older than you normally address on here, but I’m hoping that you have some suggestions on how to deal with this, both the situation in general and the instances in which they express this preference? Well, it’s been years since this post. If you get responses, I’m curious how it turned out? It does sound like you’re being a little unfair. The kids may want to play video games, eat junk food or slack off a little bit on studies just because it’s the weekend. It doesn’t necessarily mean the mother is remiss – after all, the kids also have the values that you raise them with. That said, given you two have close to a 50-50 split, and you have the weekends anyway. I don’t expect most courts or custody evaluators would change anything unless something really turbulent happens in the family. Oh D, my heart aches for you. Our daughter is in the same situation, with different days. On the weekends the children spend with their father, they come home Sunday night exhausted. They regularly sleep for 12+ hours. Our granddaughter, 8, has a weight problem because of the junk eaten on her father’s watch. I have no answer for you, or for our daughter. I keep telling her they will appreciate her dedication, her discipline, her love, when they are older. I hope that happens for you too. All I can do is love her and the children as mch as possible. I hope you have someone who has your back. And can love you and your children through all the rejections, and all the heartaches. Feeling so much better after reading this post! This is definitely a part of our lives with our oldest who is 4. My husband was in grad school throughout his early years so it created a bond and routine of just “Mommy and Me”. It’s been ebb and flow realizig that we’re all together now. Just right on the nose with stating that it’s flattering but exhausting being the preferred parent. Thank you for these wonderful words! Interesting, my son has made it a habit of sort of flip flopping. He will go for weeks seeking as much attention from month and then making an about face and then seeking as much attention as possible from dad. It can be a bit exhausting at times but I remind myself that as they get older they tend to separate from us. My daughter is going on 18 and I miss her asking me to tuck her in at night, or asking me for help. Sometimes I feel like I have to make an appointment to be involved in her every day life because she is just so busy. This is happening in our house, and has been for quite some time. It sort of ebs and flows. Ever since our second son was born 16 months ago, our now 3.5 year old has been so attached to my husband. I can understand how this happened, but I’m not sure how to solve it. Just in the last few weeks it has intensified a bit, but I can’t think of anything that would have sparked this. We did have a bout of illness go though our house, so everyone is feeling rather depleted. Could that have something to do with it? My husband does travel a bit for work, and I know that it is very tough on my 3.5 yr old. But, he hasn’t been away since the end of January. How do you set such boundaries with a toddler who still nurses? My 14 month old clearly prefers me over my husband, but the milk definitely has something to do with it. I believe that he will get sick at his toddler school more frequently if we wean him, and I’m also not ready yet for attachment parenting and nutritional purposes. Dad is often saying that I want to spend all my time with our son, and he is so hurt that our son prefers me. Dad feels so alone! Our son does like to play with him for short periods of time, but looks for me when I leave and will cry if he sees or hears me. Any advice would be appreciated! We are going to begin night weaning this weekend and have dad wake up with the toddler. I find I come back to this article again and again. Simple as it sounds, this is one area where I seem to need frequent reminders! This time it seems to be happening again (2.5 year old daughter wanting me to provide her every comfort and meet her every need) as we are 6 months into having a new baby in the house and in the middle of a stressful move. She really seems to pick up on any waffling or anxiety I have even when I do my best to keep it in, and sometimes I do worry anyway. Her dad is competent and loves her dearly, but as a fairly new mother of two I still sometimes worry that I don’t have enough time or attention for her. But she shows me again and again that she is indeed capable, and again and again we learn that the same basic principles seem to get us through every new challenge, so long as we are consistent and confident. Thanks, Janet! I think the issues are getting worse because you’need to set boundaries about your availability to her’! Re-read your own sentence a few times and see if it still sits well with you…..just give the child what she needs, they change so quickly that it may not be such a problem in a few months, but denying affection now because you’ll be busier at some point seems like a bad road. I’m suffering the effects of being the rejected parent of my 2 1/2 years old son since his sister was born 16 months ago. I’m having a tough time with all those new situations so I’m not strong at all. I’m trying this doesn’t make me feel bad or sad but I’m not able. When his father is on a trip, he’s all day calling me, he’s super sweet, he wanna do everything with me but when my husband comes back…. Maybe you could help me to manage this situation by making all changes that could ve necessary. We have an 8mo old daughter & already it feels like she’s playing favorite between mommy & daddy. I’m wondering, does this (what the article suggests) apply to an infant, as well? Or is it only effective with toddlers? I just listened to your podcast “Rejected Parent” and in this case it is me, the mom, of two boys ages 27 months and 4.5 years old who constantly gets rejected by both. I am more boundary, limit setting than my husband is. When I’m alone with my boys everything runs smooth! However, once dad arrives ‘things hit the roof’, they get whiney, throw tantrums, it is exhausting. It is almost easier on my own with them. I did take it personally, again, eeek. Then I said to my 4 year old that I’d like to brush his teeth and put him to bed. He refused, started crying immediately. I sort of lost ot…mumbled somethimg like “maybe you’re all better of without me, I have no say at all”. Then I listened to your podcast. I’m exhausted because I feel that my husband always does as they please, and I’m overruled! What can I do, starting to truly feel useless in the family. I am not sure where to put my question, so I hope that it’s okay to put it here. I have recently found your Unruffled podcast, and as a result, I bought both of your books. My husband and I have a 4.5 month old daughter and are trying to find out how we want to move forward with her. I love your parenting philosophy and have begun talking to my husband about it. He finds that he also agrees with most of it, but he did have a question concerning validation of feelings. I didn’t really know what to say to him, so I was hoping you could help us with his question. Yes, we can! 🙂 Thank you for your kind words. Through the natural development of the pre-frontal cortex and with our modeling of emotional self-control and respect, children learn to express their feelings appropriately (rather than through “bratty” behavior). But feelings are still not “wrong”. For example, we might feel like throttling the driver that cuts us off on the freeway. Most of us wouldn’t follow through with that impulse (because we have mature brain development), but we aren’t “bad” for feeling it. And perhaps — if we’re lucky — there’s a loved one we can safely share those feelings with without being judged. Thank you so much, Janet! He read your response and understands now!! I’m so excited to have him on board. Im having a situation that is complicated for me and its puzzling. im a single mother of a 3,5 year of and the last month i’ve been living with my grandma and my aunt. Both of them are already retired. My aunt in particular has been a blessing helping me out sharing time with him and they have bonded inmensely. We are still sleeping together and last night he decided he would like to sleep with my aunt. they already shared the bed when i go out etc but this is the first time that he chooses her over me when im there. I gave them books and kissed both goodnight and acted calmly while completly in shocked in the inside. We will be travelling in 2 weeks and moving in with my partner where he will have his own bed, room, etc. and where my aunt wont be there. Hi Janet – I know we need to work on this overall with our 22 month old but I have a follow up question. Often my husband comes home in the last 5-10 minutes of bedtime routine and will want to help finish. Our son gets really upset about this and just wants me to finish his book/song. To me, it seems pretty jarring to make him switch gears like this when he’s so tired and close to going in his crib. What do you think – should we push him that he finish bedtime with dad or is it okay in this situation to finish things with me? Similar situation, my 19mth old daughter will ONLY go to bed for me (which includes her night time bottle). If my wife try’s to settle her down, she crys uncontrollably until I have to come up and take over. My wife persists at this, but after 30mins or longer, both are shattered and no closer to taking the bottle or going to sleep. If I am not home from work, she’ll still not go to sleep until I am home (I work shifts). Bath time is usually directly before bedtime and there is no fuss at this stage, it’s the moment she is dressed for bed. What is going on here and how can we try and buck this trend? It is devastating for my wife and she really does ware it well, but it is killing her in her heart! I have been looking for a post like this with comments, and came across this one. I unfortunately am currently going through this with my 14 month old, and I am the rejected parent. But, everything I am reading, it seems I am doing everything correctly. But, it continues to get worse, I am no longer able to calm him, and he is constantly screaming and crying when I try to even pick him up. Everything I am reading says that I need to spend more one on one time with him, and I do. My husband and I, usually, split the duties around the house and with our son 50/50. But, my husband has a lot of time that he spends away from the home whether it’s hunting or surfing, so I am with our son a lot more than he is. Even when it comes to daily activities, I am the chauffeur for our son every day. I am just wondering if anyone has experienced this scenario before seeing how this is completely exhausting, and I am sure our neighbors are quite sick of hearing our son crying all of the time ;). I feel for you..I’m going through the same thing and we as well have tried sharing a lot – duties, fun, etc. but no matter what, my (now almost 4 year old) son screams and cries when his dad doesn’t help him while he’s sick, scared, or needs to be attended to in the night. I hope your situation improved? Pingback: The Daddy Appreciation Society – What's My Name Again? I’m not sure if my situation is a phase or just what will continue indefinitely in life..sometimes children truly do prefer one parent over another. Since my son was 9 months old he always took a preference to my husband, particularly for be consoled or looked after when he was sick. I found it shocking as I more or less followed attachment style parenting techniques, so by all measures, I should have had an incredible bond with my son. Fast forward to his 4th year and he’s still rejecting me during his most vulnerable moments (and by reject, I mean getting hit and screamed at while he calls for daddy). He only ‘wants’ me around when he’s seeking revenge on his dad for returning to work after a holiday. None of it makes any sense to me based on how ‘diligent’ I’ve been in his life, ensuring his needs are met. I am more of the disciplinarian (dad doesn’t seem to get upset about much or leaves it to me to handle for the most part), but it seems odd that that would matter in the long run as it’s not that common that I have to scold him (however he has the best memory I’ve ever seen from anyone so it could be an issue). I even ensure that I’m a fun parent – it’s not all chores. A doctor I spoke to stated that its a phase, as did your article but my son has been very consistent for over 3 years now. We get along great when he’s not feeling sick, sad, lonely, etc. I might as well be the nanny at this rate…have you heard of anything of this nature and lasting so long?